November 24, 2015 – Modern method of gluing rail bedding already on offer! We have introduced to our offer an innovative service of gluing and stabilizing the rail surface, made of stone crushed stone, using the latest binding resin technology. This method effectively protects not only transitional zones and critical places of rolling stock passage, but also the entire ballast along the course of railway tracks or tram lines. As a result of the exploitation of the rail surface, undesirable movement or gravel slipping occurs. Most often this applies to places in the transition zone between the embankment made of crushed stone and a stiff substrate, among others before bridges and viaducts, in places of crossings and crossings at the tracks, at switches, in the vicinity of crossroads and on particularly curved arches of tracks. 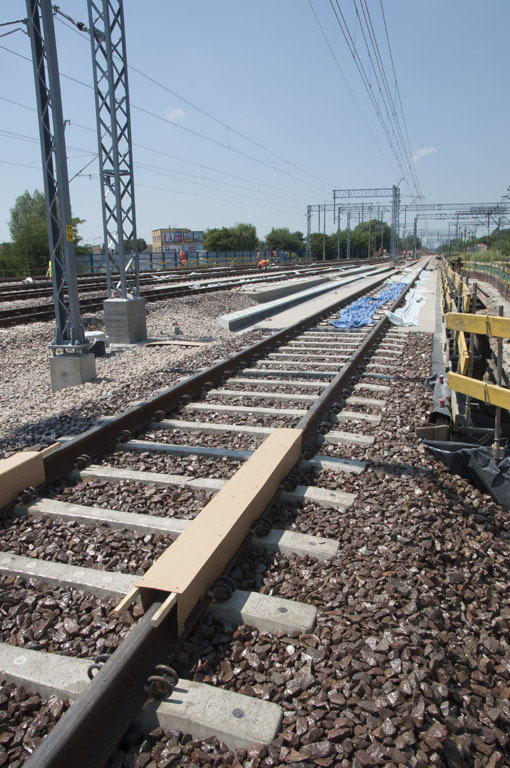 Rail traffic requires continuity, which is why we recommend proven and effective bonding resin technology for the construction, repair and maintenance of ballast. The material reinforces masses three times. This pioneering technology has gained recognition among a large group of investors who appreciate saving time and reducing costs. The effectiveness of the solution is confirmed by numerous projects abroad and positive load tests.